Looking for a retirement speaker for your next conference, client event or internal professional development program? The Retirement Speakers Bureau is here to help you find the retirement speaker who best addresses your audience’s needs and budget. We’ve built relationships with the retirement industry’s leading speakers, authors, trainers and professional development experts over almost 30 years in the financial industry. We guarantee that the results and expertise of the speakers offered to you on this site will exceed your expectations. Let us help you find the right retirement-topic-specific speaker for your audience! Please fill out the quick form to the right to make general inquiries about scheduling speakers for your conference or event. The best conferences have the best speakers. 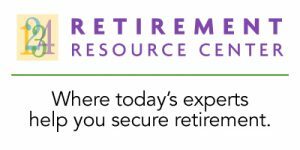 Click here to be sure you’re in the know about the new and featured retirement presenters as they are added to the Retirement Speakers Bureau. Already know which speaker(s) you would like? Use this form to indicate interest and request availability of individual speakers. Click here to be the first to know about new and featured retirement presenters as they are added to the Retirement Speakers Bureau. Click here to fill out this quick form to make general inquiries about scheduling speakers for your meeting, conference or event. Annalee Kruger, President, Care Right Inc.
Use this form to indicate interest and request availability of individual speakers. Click the button to inquire about availability today. Copyright © 2019 Int'l Retirement Resource Center, LLC. All rights reserved.